5 – 14 years of age (grade appropriate). Cognitive skills need to be within the average cognitive range. Specific learning difficulties need to be the child’s core problem. Parental involvement and support is essential. 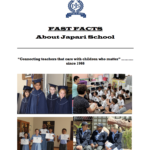 Unlike many independent schools, Japari School offers rolling admission. This means we have no application deadline and can always begin the admission process whenever you are ready. However, candidates who apply early in the school year will be given first priority for admission. Please see the Steps to Apply below and let us know if we can help in any way. Mrs Hayley Cockcraft, our Special Educational Needs Co-Coordinator, will acknowledge receipt and if your child fits the necessary criteria she will be in contact with you to facilitate you further through the application process. Please fill in the enrolment form as well as the assessment and therapy questionnaire and submit all applicable reports. Mrs Hayley Cockcraft will be in contact with you to arrange a personal interview, confirm dates for a trial period and view the school. Japari’s registration fee for 2018 is R7500 for Grades R – 3 and R8000 for Grades 4 – 7. The trial period fee of R4000 must be paid once a trial date is confirmed, which will then form part of the registration fee if your child is a successful candidate. You will also be asked to sign a Pre-Admission Letter for the trial and submit proof of payment of the R4000. During the trial week you will be requested to fill in a Case History and read the School Contract and applicable policies online. On the first day of the trial, please report to the reception area no later than 07:30 with a healthy lunch box and the necessary stationery and books. You may choose to come in civvies or school uniform. After the trial, the secretary will confirm a final feedback date with Mr Rees, our Principal, who would like to meet you, discuss the enrolment date and sign the Contract and Acceptance Letter. At this time parents can raise any questions concerning their child’s new environment.